Federal authorities say they are investigating claims that Martin Shkreli has been running his pharmaceutical company from behind bars using a contraband smartphone. The U.S. Bureau of Prisons told The Associated Press on Friday it has opened an inquiry into whether the man nicknamed the "Pharma Bro" violated prison rules forbidding inmates from conducting business and possessing cellphones. Shkreli, 35, is serving a seven-year sentence for securities fraud at the Federal Correctional Institution at Fort Dix, New Jersey, a low-security prison complex about 40 miles from Philadelphia. He was found guilty of lying to investors in two failed hedge funds and cheating them out of millions. The Wall Street Journal reported this week that Shkreli has used a cellphone to call the shots at his drug company, Phoenixus AG, posting regularly to social media and even firing the company's chief executive a few weeks ago. 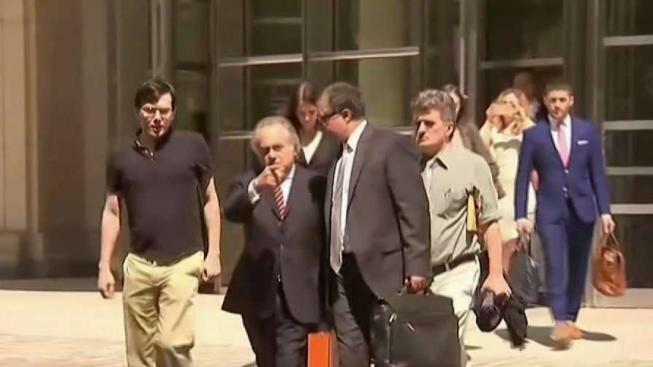 Shkreli's defense attorney, Benjamin Brafman, declined to comment. "Like all correctional agencies, the BOP continues to tackle the problem of contraband being introduced into our facilities, including contraband cell phones," the agency said in a statement to The AP. "The BOP continually evaluates and deploys as appropriate, contraband-detecting technologies, including walk-through metal detectors and whole-body imaging devices."